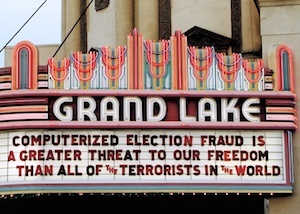 Grand Lake Theatre Marquee in Oakland, CA. Photo by evelurie.com. 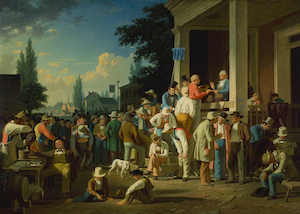 “The County Election” by G. C. Bingham. Courtesy of the St. Louis Art Museum. We educate, bringing information on weaknesses of current state election systems to the attention of public officials, the public, and the media. We promote voting integrity in legislation and serve during elections as watchers, election judges or canvass board members. 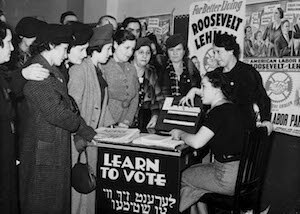 Women learn to vote, 1935. Via the Kheel Center, Cornell University. We hope our website will increase an interest in election integrity. Like other essential institutions of our society, today’s elections need defenders by an informed citizenry. So we mention a few other resources with valuable information on the state of our elections.